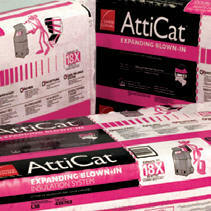 Shiner Roofing, Siding and Windows is proud to announce that we now carry and install the new AttiCat Expanding Blown-In PINK FIBERGLAS Insulation System from Owens Corning, the latest in energy efficient attic insulation. 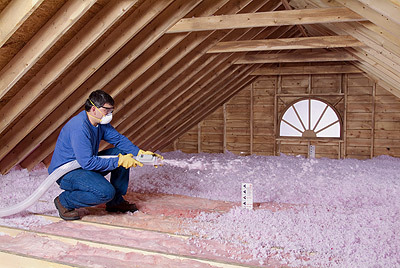 Fiber glass insulation is non-combustible and non-corrosive by nature, which means that it will never settle or lose its energy-saving abilities. In addition, AttiCat Insulation provides an amazing R-49 value – the recommended attic R-value for the Northern Virginia climate zone. Won’t settle or lose its energy-saving abilities over time. Will not provide sustenance for insects or vermin. *http://www.energystar.gov/index.cfm?c=home_sealing.hm_improvement_methodology. Savings vary. Find out why in the seller’s fact sheet on R-values. Higher R-values mean greater insulating power.